Our soil is clay and stoney. Really stoney. I pull out pieces of flint that are not incomparable to my own head. The guy over on plot no. 1 swears he removes 20 buckets full a year...and he's been on his plot for over 25 years. We've been desperate to get something in the ground, and yesterday that milestone happened. 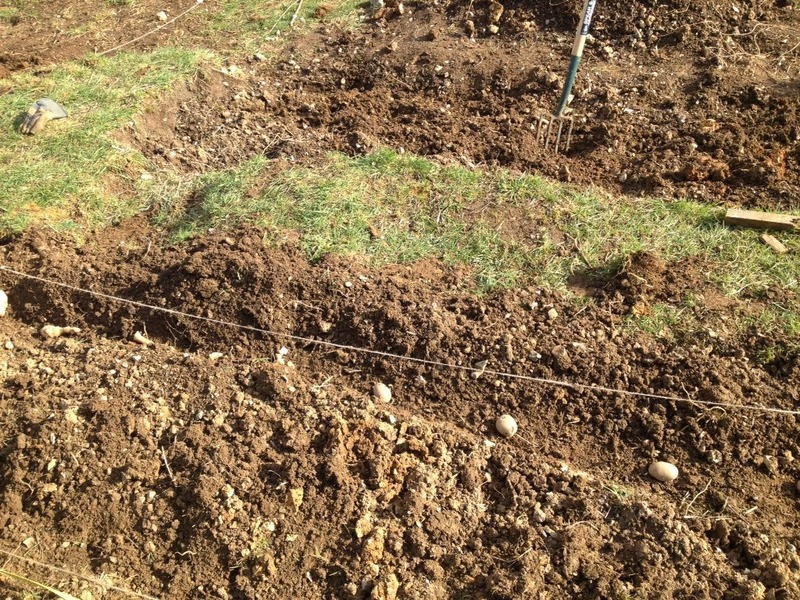 We now have two beds; jerusalem artichokes and potatoes. 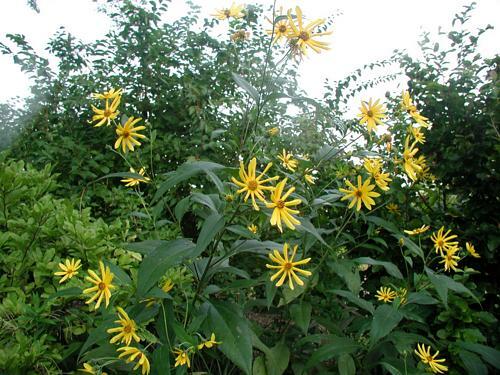 Jerusalem artichokes aren't something I'd really heard much about until I grew interested in becoming more self sufficient but when an old time grower told me "If you can't grow jerusalems, you may as well give up now", I knew I had to try them. Reputedly the easiest thing to grow of all, once you have them, you always have them; unless you dig up every last tuber in winter, they'll be back next year. 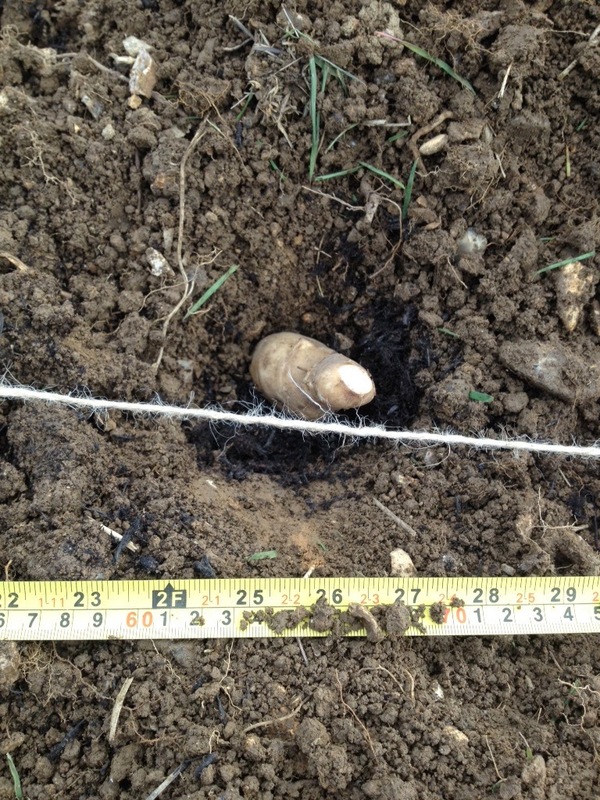 Their use doesn't stop at being an easy source of delicious tubers. They grow so tall they can be used as a windbreak in the summer. Not only that, their tops can be lopped off and their huge sunflower-like flowers can adorn your fireplace. Anyway, back to my stoney soil. Completely overwhelmed my the idea of painstakingly removing two spits worth of soil and sieving it back in, we instead dug out trenches where we would plant the tubers and then filled those trenches with multipurpose compost and stone free soil. This saved us an awful lot of money, as filling entire beds would be astronomical. Once the plants come up, we will mulch heavily around them to prevent weeds. Luckily we have a friend who can supply us with as much straw as we can stuff in our little Ford Fiesta. We then dug in the tuber, removed surrounding weeds, grass and stones, and covered in compost and the best soil we could find. I'm expecting to have to heavily mulch to suppress weeds! So that's the first lot of planting...hurray! Now for more digging, planting, mulching, sowing, weeding, hauling stones, watering...I'm exhausted just thinking about it! 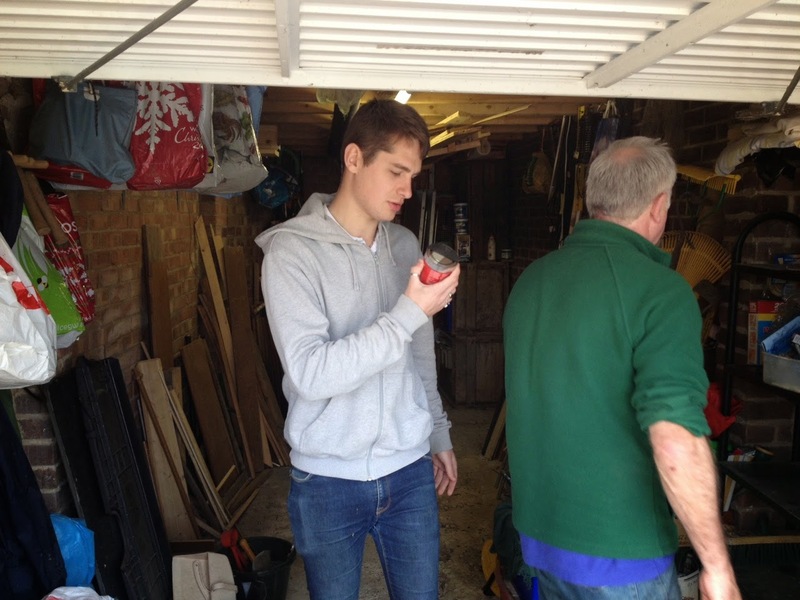 Yesterday we also helped Ali's dad clear out his garage. He's a mild hoarder (I spent most of my time slipping jars with about half an inch of methylated spirit, or near empty paint tins, into the rubbish pile when he wasn't looking) so we had a lot to remove. It's looking a lot better now and we managed to salvage lots of useable wood for allotment projects! Alister inspecting on of the 30 small tins of varnish we found. 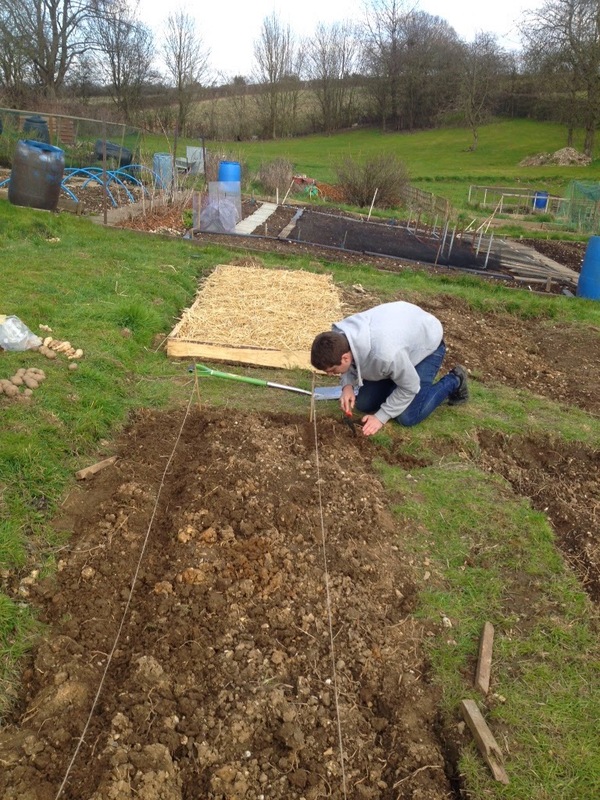 I'm also secretly hoping our labour might earn us some help on the allotment. Ali's parent's garden is absolutely massive, and just stunning. They have various sheds and greenhouses tucked away behind well placed greenery, a lovely big veg plot at the bottom and a gorgeous more landscaped garden near the house. I always like wander around outside barefoot (gin and tonic in hand) to have a nosey at what Barry has been up to outside, and really value his horticultural expertise!